Tundra 20 oz. 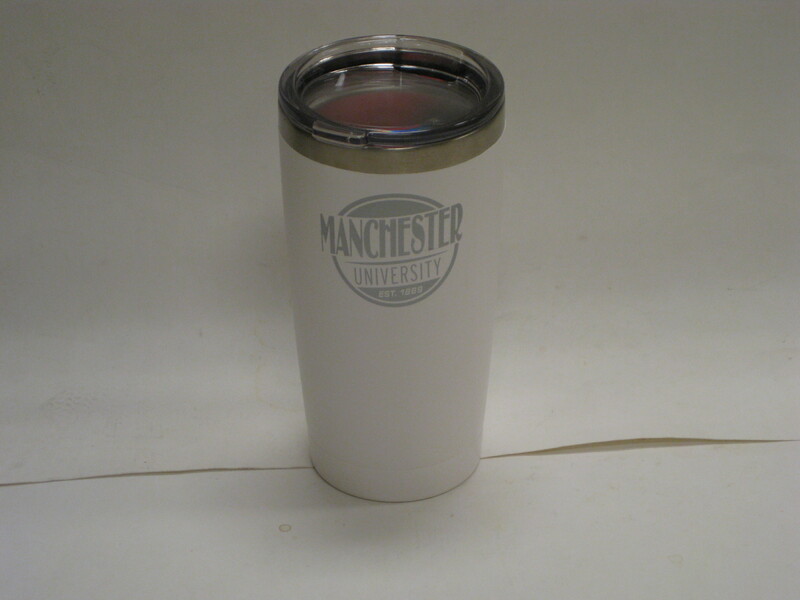 double walled stainless steel vacuum insulated tumbler. Acrylic push on drink thru lid. Has Manchester University Est. 1889 on the front.